The Circle | The Circle is Open. 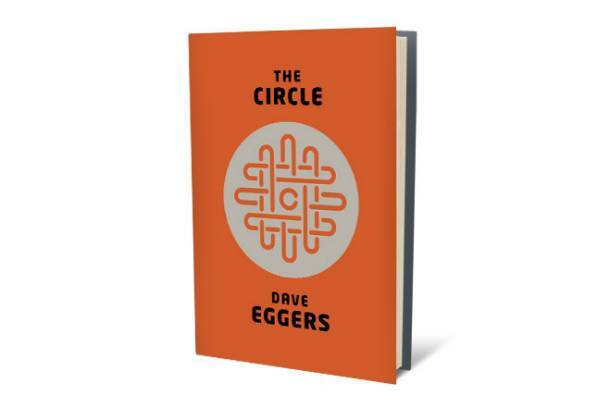 The Circle is a novel by American writer Dave Eggers. It is a work of fiction set in a technologically enhanced world. I should say, an even more technologically enhanced world than the one we currently find ourselves in. The technology itself is advanced but what makes The Circle an interesting read is the widespread use of social media. Not social media platforms but a platform. The Circle is a new form of social media, its newness being in not its specificity on one aspect of information sharing, rather it is a combined version of all our existing social media forms – Instagram, Pinterest, Facebook, Twitter and the like have all bowed down to the great and all-encompassing Circle. Throughout the book the goal of The Circle becomes clear: to complete the circle, to close it. They aim towards full transparency, everybody knowing as much as possible about everyone, one of their slogans being Privacy Is Theft. At first not fully participating in the social side of the company, Mae is soon swayed by them and becomes a fully committed circler – sharing all aspects of her life with the world. She goes so far as to become fully transparent. This means that Mae wears a camera around her neck all day but for a few hours at night. She is allowed to turn the microphone off for 3 minutes for toilet breaks, while the camera stays on (facing the stall door). The video feed is live and accessible to everyone. So communication flows both ways, she wears a bracelet on her arm, which displays her viewer’s comments, not unlike the Twitter @ feed. Not seeing the negative side of complete transparency, Mae becomes the face of The Circle and its beliefs. Many people formerly close to her begin warning her about the terrible possible outcomes of such an extreme view. Among them is Mae’s ex boyfriend Mercer. Once he realizes Mae won’t change her stance on the matter, he decides to ‘get off the grid’ and escape the cameras that have been placed everywhere by the corporation. In an demonstration of The Circle’s new program designed to catch fugitives Mae decides to use this to find Mercer. In trying to escape the people and cameras chasing him, Mercer finds himself in the midst of a highly televised car chase and tragically drives off a bridge and dies. Slightly discouraged by this turn of events, Mae picks herself up quickly and more determined than ever finds herself with brand new ideas of how to ensure complete transparency and with it, the closing of the circle. This book is a work of fiction, yes. Based on reality, however, it deals with several issues we might be facing in the not-so-distant future. How much truth is there in The Circle? Stay tuned. This entry was tagged about, dave eggers, social media, technology, the circle. How is Social Media Changing Television? Technology: Who has the upper hand?